I just saw the unaired Powerless episodes via my recent purchase of Season One. It was really nice to see the late Adam West in the last episode ("Win Luthor Draw"). I know that DC released the full episode for free on YouTube after West's death, but I think they may have removed it by now. As far as I know, with low ratings and not enough demand for it, Powerless will probably not get released on DVD or Bluray, so this digital sale is probably the only way you can get a legal copy of it. 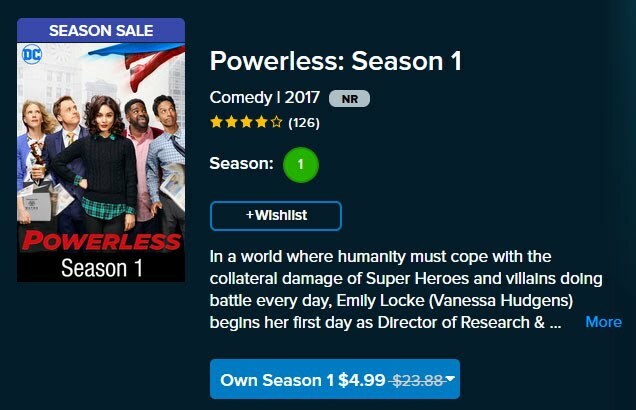 The first (and only) Powerless show is on sale on Vudu for $4.99 (link). I thought it is a good deal, considering I only watched this on Standard Definition with advertisements. Now you can own in High Definition with no ads. 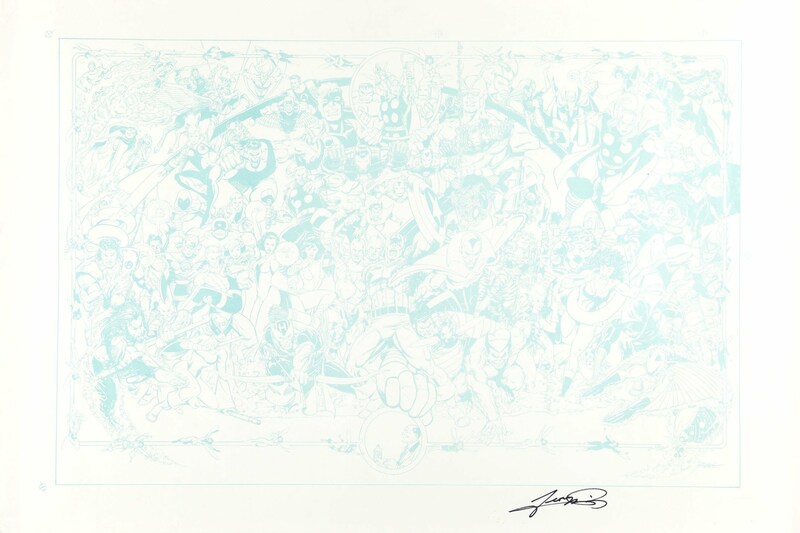 Granted, it wasn't a great show, but it did feature George Perez's artwork and made several references to Marv Wolfman, so you should at least give it a try if you haven't seen it. Bonus: You get all 12 Episodes, including the last two unaired episodes. At $5, it's about 42 cents an episode. A few weeks ago, NBC pulled the comedy series Powerless, which is set in the DC Universe, from their Thursday night line-up, which got fans of the show concerned that it was getting axed. After a few weeks of waiting, NBC has officially cancelled Powerless after one season as TV Line broke the news today. In addition to the George Perez's two covers appearing in the credits (THE FLASH #293 (Jan 1981) and WONDER WOMAN #24 (Jan 1989)), John noted that Marv Wolfman's name appears on the television news at the end of the show: "New Developments: Joker Finally Arrested in Gotham City - Marv Wolfman". Very fun Easter Egg, we might have to catch the next episode, which is airing February 9th. Thanks to @FirestormFan for mentioning that NBC's Powerless intro credits features covers to THE FLASH #293 (Jan 1981) and WONDER WOMAN #24 (Jan 1989), but with slightly altered renditions of their cast. The pilot aired on February 2nd.